Adventure travel company Explore challenged us to come up with an interesting new way for customers to browse their wide range of guided adventure trips. They have over 500 different itineraries ranging from cycling trips in Thailand to safari adventures in Africa and cultural excursions in Venice. Research revealed that people spent almost as much time planning their holidays as they do actually away on holiday. And a large percentage of them find the process really stressful. We thought it would be fun to take all the stress out of holiday planning and help customers find their ideal holiday without even having to think about it. Instead, we’d read their minds. 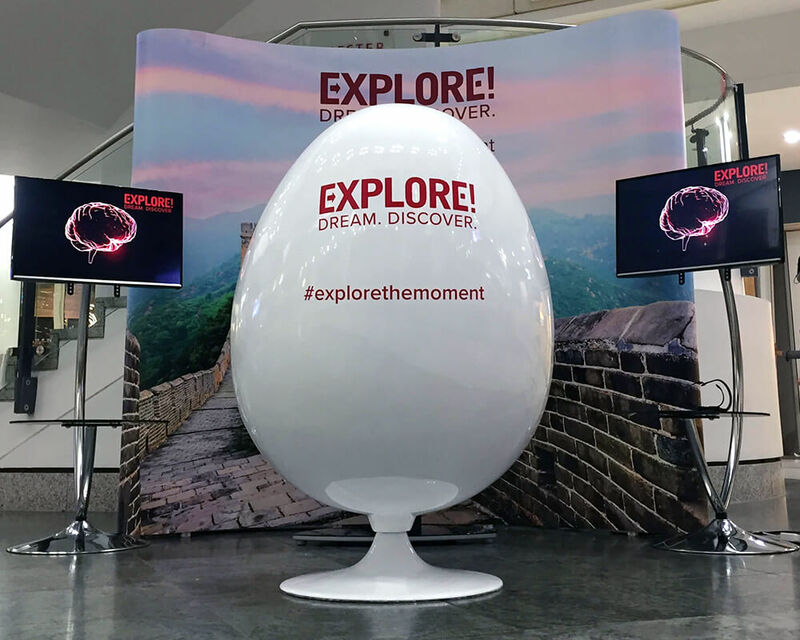 The mindreading machine was toured around 4 locations and garnered nationwide press and radio coverage including an exclusive feature in the Mail Online, the most visited English-language newspaper site in the world.